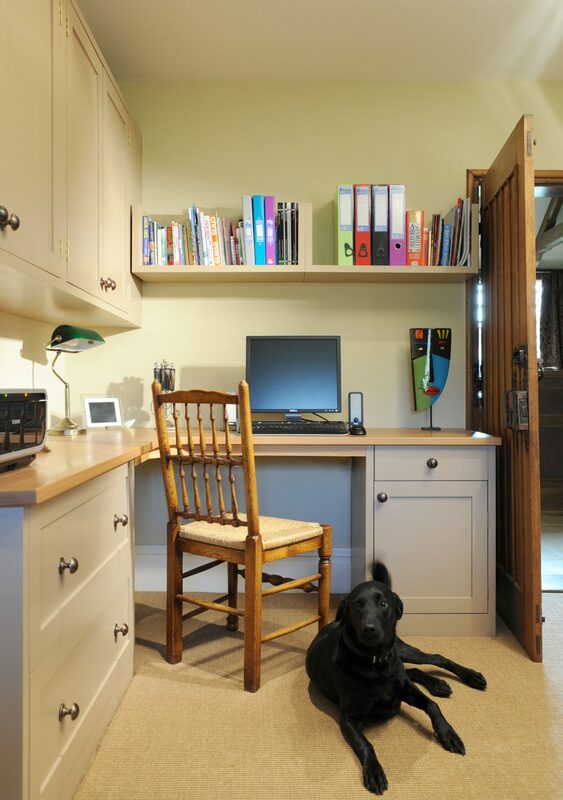 Creating a beautiful home office relies on focusing on a number of key elements, even going as far as considering the type of person you are, to identify the style of space that best fits your personality, way of living and working habits. In this post we also touch on the importance of colour and lighting, to assist in producing a well developed brief on the road to achieving your dream office space. The two aren’t mutually exclusive of course, but it’s important to know which type of office space you feel most comfortable in. Perhaps a highly structured room, functional and organised, is high on your agenda. Alternatively, maybe you like to have your books on display, spilling onto a large desk space where you can spread out papers and notes and thoughts. Famous thinkers, authors and inventors from Alan Turing through to Steve Jobs, J.K. Rowling and Roald Dahl all had office or working spaces that suited them. They may have looked like chaos to some, but a space that embraces who you are and how you think is a necessity for many creative people and is a large part of what enables them to produce their best work. Balance when designing the space is important. Leaving space to move around and work effectively in the room is just as important as the space given to storage and display, therefore it is important to keep your style of working at the front of mind throughout the process. As many home offices are multifunctional spaces, often serving as guest rooms or homework zones when not used for working, be sure to consider the needs of others who will also share the space. Planning a way to segregate the space will help give everyone the space they need without encroaching on the functionality demanded of the space. One of the benefits of choosing bespoke, painted office furniture, is being able to choose the exact colour you want to have on your furniture. 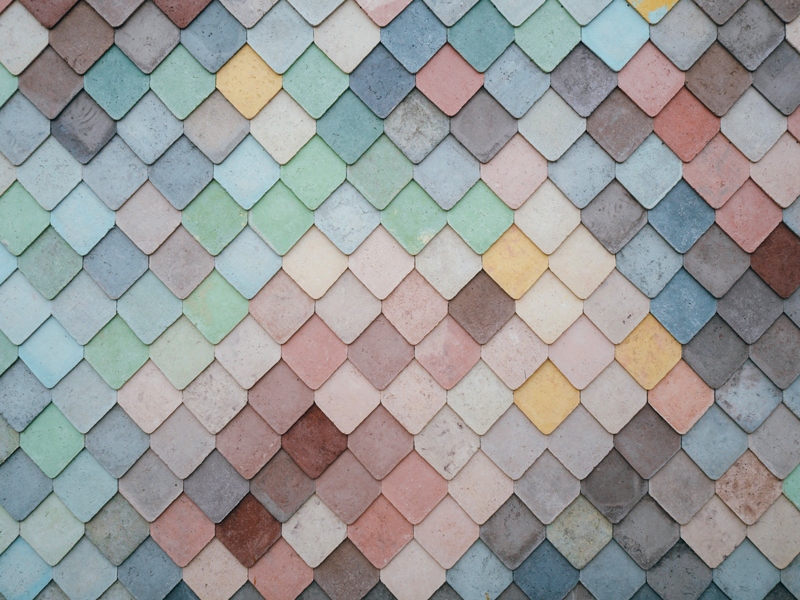 Whether you go for a colour scheme that works with the theme of your office, or on a wider level, the colour scheme of your home as a whole is entirely your choice, but try to ensure that the colour doesn’t distract you from the main task of working. 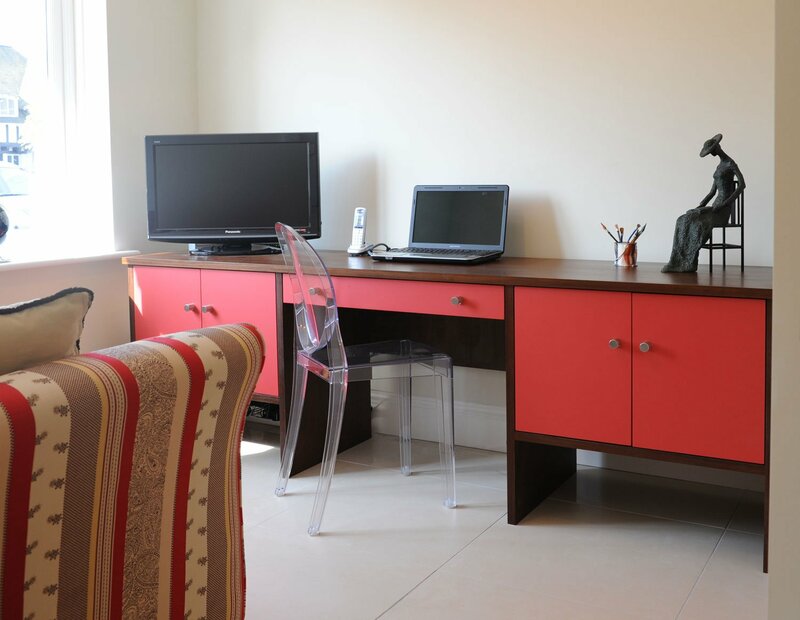 Research suggests that colours impact our moods and even our levels of performance. Do you want a space where you can go to relax and feel calm? 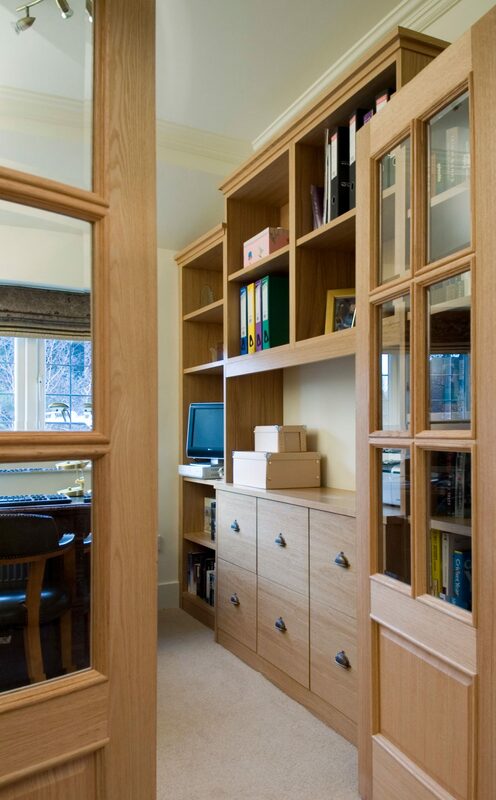 Perhaps your home office will double as an area for recreational reading books or writing letters. If so, then blues and greens will create a restful environment as well as keeping frayed nerves under control during stressful periods of work. Perhaps your office will be used to complete business tasks as quickly as possible – red for example has been known to improve speed and productivity. However, beware, it also induces hunger, so might not be a great choice if you are near a kitchen and want to avoid the temptation for endless cups of tea and biscuits! There’s some interesting research on the psychology of colour that’s well worth a read. When you’re ready, our friendly designers are also on hand to assist you in selecting the ideal colour for your room. Will the room be used for anything else e.g. guest room, storage, non-office related things? How much floor space will be taken up with chairs, lamps, filing cabinets, free-standing draws etc.? Some of the above can be built into combined units, for example desk space with drawers built in underneath, and cleverly hidden storage / filing space. It may be a case of getting rid of any existing freestanding furniture to achieve an office space that fits the room perfectly and makes the best use of the space. Think about where you’ll want your electrical equipment in the room e.g. computers, printers, shredders and music equipment. Your dream office space will rely upon attention to detail and a well-planned brief. There’s little point in creating an office that uses the space well, has beautiful colours and a structure that matches your personality, if it’s let down by inadequate or ill positioned electrics or cabinets that do not fit the very things you need to store or wish to keep out of sight. Warm, overall ambient lighting will make your home office feel friendly and welcoming. A well lit room will allow you to work effectively and productively, no matter the time of day. If the room is multi purpose – potentially you work in there in the day and in the evening it become a reading room, occasional guest room or homework area – your lighting will be a key component of differentiating between the room’s different uses. Be sure to allow the right light for the type of work you do. If you work at a computer, then you need to avoid the glare of a bright overhead light that might reflect on your screen and wish to consider concealed LED lighting. And for specific tasks, you may need to consider desktop lighting or under cabinet lighting if wall cupboards or shelves feature in your office design. With the tips and advice above, you’ll create a home office that is conducive to working in the home environment as well as increasing efficiency and productivity. In summary, the most important tip is to create a specific brief of what you want to achieve – something our designers can help you with. Thanks for reading – feel free to leave a comment below about your office design / revamp plans – we’d love to hear from you.